After entering the smartphone industry, Walton will be stepping into the tablet market here in Bangladesh by releasing their first ever tablet, Primo Walpad 7. They have earned much acclaim from both home and abroad with the range of electronics they offer but they gained more popularity in the smartphone arena. In the smartphone sector, they have unveiled an array of devices starting from normal mobile to high-end smartphones such as the Walton Primo X2 and Walton Primo N1. And now, its time for a tablet to join the party. 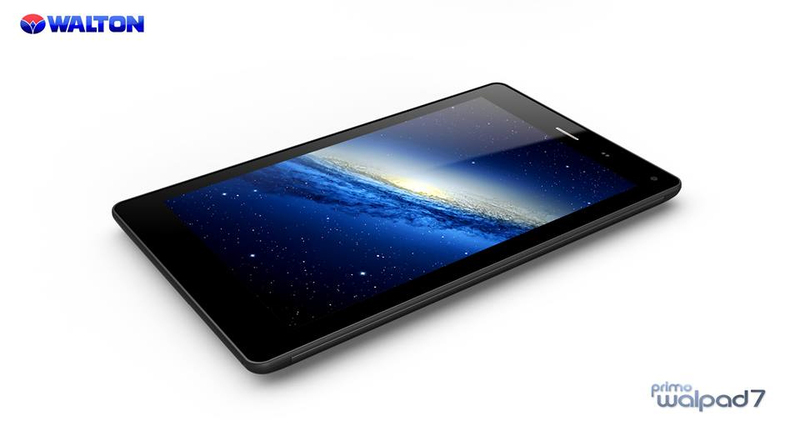 At first sight, according to the rendered pictures, the Primo Walpad 7 looks like an ordinary Android tablet. It greatly follows the design language of the 2012 version Nexus 7 with thick bezels around. Although Walton calls the display of the Primo Walpad 7 to be Full HD, it has a resolution of 1280 x 900 similar to that of a Nexus 7. 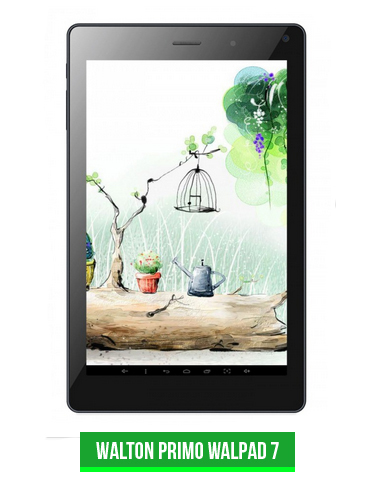 The tablet is armed with a Quad-core processor clocked at 1.2Ghz and supported by a 1GB RAM. However there is no mention of the brand they are using. For the graphic processing unit, the tablet uses PowerVR SGX 544 which is a modern GPU for todays tech gadgets. Devices such as the latest Kindle Fire HD 8.9 inch, Ainol Novo 9 Spark and even the leading smartphone, Galaxy S4 uses the Power VR to power up the GPU. So for those who loves to play games, no worries. Walton Primo Walpad 7 runs on Android 4.2.2 which is not-so-latest but it’s great to have one of the latest OS incorporated because most of the devices(except Google products) are still stuck with it. 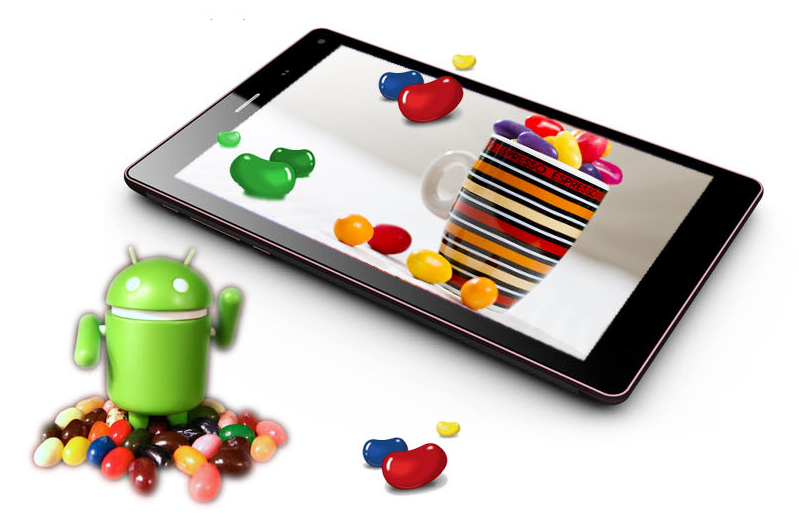 If you love taking pictures, the tablet comes with a 5-Megapixel rear camera with a 2- Megapixel camera at the front. Personally, I find it weird to take photos with a tablet so having a 5-Megapixel camera is good enough. The tablet comes with a powerful 4000 mAH battery which will hopefully ensure the tablet stay awake. The Walton Primo Walpad 7 was announced months back and the hype of owning the first tab from Walton was growing. In an update, Walton announced that the Walpad 7 will be available from today (November 4th) and would carry a price tag Tk. 15,490. Stay with Techetron for a hands on review!